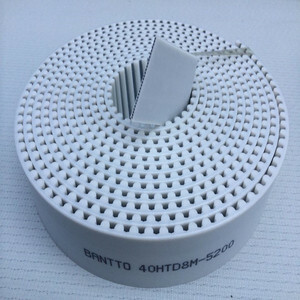 Xingtai Boshuo Trading Co., Ltd.
Industrial Belt is one of our main products,we can do material in aluminum alloy , stainless steel, C45 steel, brass, plastic nylon.ect. 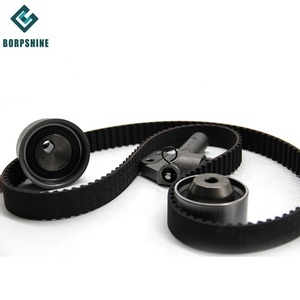 We can produce different types of Industrial Belt , and we also accept OEM/ODM as per you requirements. We will also provide professional advices of the products to make the design to be maximize the performance. Q2: Can we have our logo or company name to be printed on v-belt or the package9 A2:Yes, your logo and company name can be printed on v-belt and packing,. We will ask for a minimum order quantity, if you want print your logo on our products and packing for free. We adhering to the integrity, innovation, and win-win concept, welcome you to here to cooperate with us in the near future. 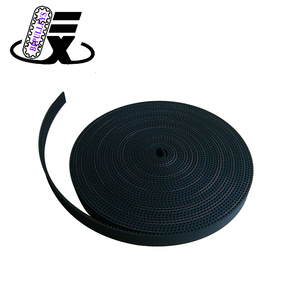 Foshan Chenshi Wenxin Industry Belt Ltd.
1.timing belt can trabsmission accurately,non-slip,while working with a constant velocity ratio. Please contact our After-sales service department in time within 30days after you received the cargo. Problems confrimation: Slight problem: Please send the proof to our After-Sales Department, we will reply within two days. 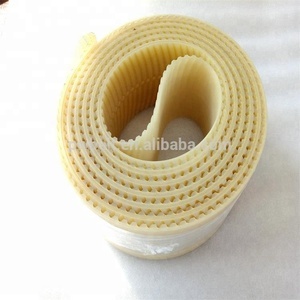 Guanghzou manufacturer pu steel /kevlar / fabric cord timing belt with different type for wholesale. Hebei Jiuduan Import And Export Trading Co., Ltd.
Sanmen B.O.T Rubber Production Inc.
* High transmission efficiency under the operation environment of high-speed rotation, reverse flexure, small band pulley, etc. * Core rubber with high tension and low elongation, while the consistent tension is maintained during operation. * Less slip while large transmission effect during the process of operation * Less noise during the process of operation. 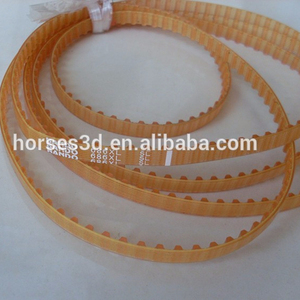 Foshan Hainade Industrial Belt Co., Ltd.
Alibaba.com offers 419 bando timing belt products. About 62% of these are transmission belts, 14% are other auto parts. 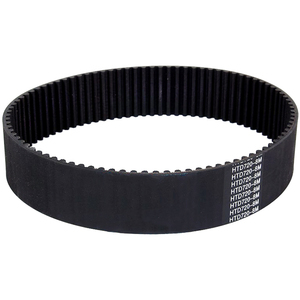 A wide variety of bando timing belt options are available to you, such as timing belt, v-belt, and flat belt. You can also choose from rubber, pu. As well as from standard, nonstandard. And whether bando timing belt is free samples. 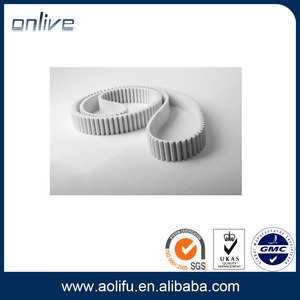 There are 419 bando timing belt suppliers, mainly located in Asia. The top supplying countries are China (Mainland), Japan, and India, which supply 87%, 10%, and 1% of bando timing belt respectively. 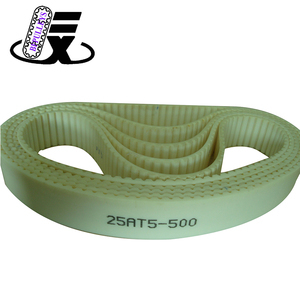 Bando timing belt products are most popular in Western Europe, North America, and South Asia. You can ensure product safety by selecting from certified suppliers, including 42 with ISO9001, 10 with Other, and 2 with ISO/TS16949 certification.